ProForm 505 CST Folding Treadmill is the best sports equipment you can have in your home or even the office. Despite the fact that its quality is unquestionable, the durability is also something worth noting. Some of the features that make the treadmill unique are listed here. The equipment has a length of 188 cm, a width of 94 cm, and a height of 171 cm. The maximum weight of a user should be 115 kilograms. The running area of the treadmill is 51 cm by 140 cm. the machine has a total weight of 87 kilograms. The motor of the product has a 2.5 CHP and speed of between 0-18 kph, it is also has 10-speed controls. The machine has a capability of 0-10 per cent inclination and it has 11 quick incline controls. Different parts of the treadmill have varying warranties. For instance, the motor has a warranty of 5 years, a lifetime frame, and 2 years parts and labour. However, the warranty is guaranteed only if you register your product within 28 days after purchase. The treadmill has a Proshox cushioning that eases workout. The ProForm 505 treadmill has a manual program and 18 preset workout applications. With the treadmill, it is possible to get information about speed, incline, calories, intensity, heart rate, time, and distance covered. The rollers of the treadmill are 5 cm thick. You may be wondering why you should spend your hard-earned pounds on such a piece of equipment. Here is why. Most people prefer to subscribe to a gym instead of stocking their households or office space with sports equipment due to limited space. The manufacturers of this treadmill had that in mind and that is why the item is designed such that it occupies minimal space. Most importantly, it is foldable such that once you are done exercising; you just need to fold it. 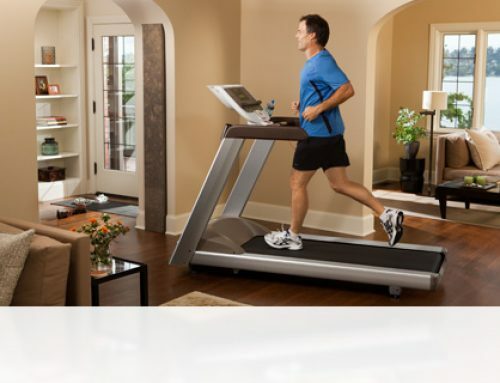 Therefore, the treadmill is ideal for domestic use without inconveniencing the user. No one wants to be bored while exercising. No wonder, you will always find people with their earphones or headphones during exercise. Entertainment especially music motivates during a workout. As such, the ProForm 505 Foldable Treadmill has a music port compatible with iPod, dual 2-inch speakers, and a tablet holder. You don’t have to work out from one place, you can make the one hour of exercise fun by moving to different locations within your home. You can even choose to exercise outdoors. We all know that as age catches up, the body becomes rigid. Most doctors recommend that as you get older you should use a few minutes each day to work out. However, it is always challenging because they have no one to take them to the gym. With the foldable treadmill, it is possible for the elderly to exercise at the comfort of their homes and at any time. Whether you are an experienced user or a beginner, the equipment is easy to use. The installed programs can be changed easily using the quick touch controls to suit your expertise. Once you feel that you need a different challenge, you change the control to what you want to try. Most people would fear to buy the treadmill thinking that it is hard to assemble. However, that should be the least of your worries because anyone can put up the treadmill without difficulty. Just as it is easy to assemble, it is also easy to fold away the treadmill. People with diabetes or even arthritis are advised by physicians to exercise a lot. Well, at times it can be hard due to work schedules or the distance between their homes and the nearest gym. Moreover, gym subscriptions are expensive. Such people should invest in the foldable treadmill because the price is relatively affordable and the durability is assured. That way, it is possible to remain healthy at a low cost. IFIT is a great technology. However, to make use of it, one is expected to pay a subscription. Some people may not have the subscription fee. One would expect that the speakers are loud enough to fill the whole room with music. On the contrary, the speakers are not as strong but they serve the purpose of entertainment. The treadmill is as big as those you will find in gyms despite the fact that you only pay a fraction of the money it would cost you to buy a sophisticated machine. Some people may prefer a small one due to space when working out. 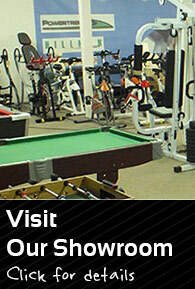 One of the features as previously stated is 18 pre-installed workout programs. It can be hard for some people to use workout programs. However, the manual option comes in handy until when you will learn how to use it. 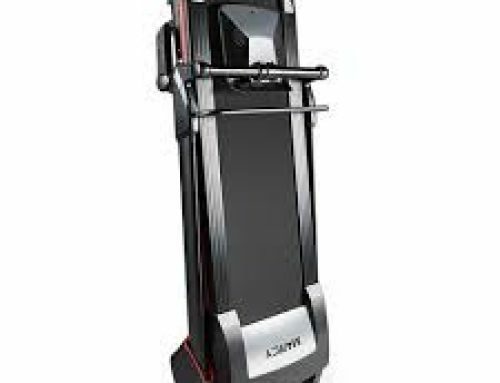 All the same, there is a manual that comes with the treadmill which you can make use of whenever you have trouble operating the equipment. The ProForm 505 CST Foldable Treadmill is the best choice for people working on a tight budget because it is affordable, sturdy, and comfortable to use. The equipment has thick rollers and a strong belt to make your usage comfortable. The treadmill is ideal for both running and walking and it is recommended for people with conditions such as arthritis and diabetes. Even the elderly can use the machine for exercise to ensure a healthy lifestyle. Most importantly, the equipment is foldable to save on space. 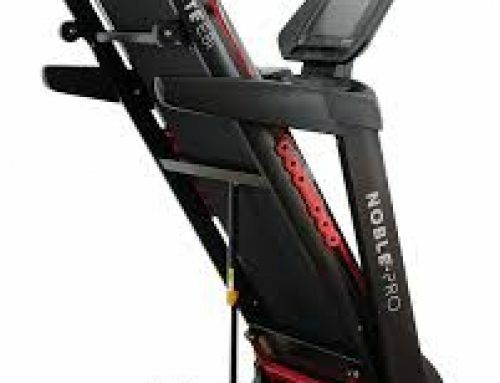 It is also easy to assemble the machine whenever you want to exercise. However, the product is too large to move from one place to another and you have to pay to enjoy the IFIT technology that is pre-installed.